Do you have a car or boat that you need moved? Are you tired of dealing with companies who lie and cheat to get your business? Do you want to deal with one person throughout the entire transaction instead of being shuffled throughout the company? No need to worry more! 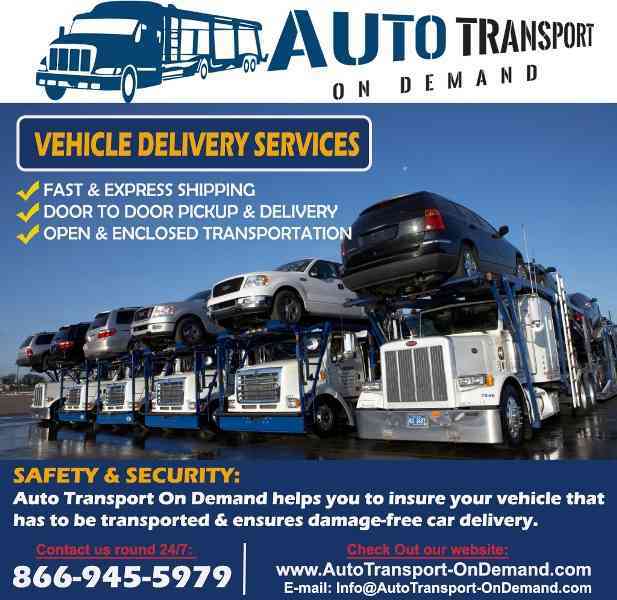 Auto Transport On Demand is a vehicle transport company that specializes in transporting vehicles like car, truck, boat or bike quickly and safely while excelling in customer service. From quote to delivery, we strive to make this process easy and quick. Open and enclosed shipping available. Call today for a free quote that will actually get your car moved!